Pressure Kleen Power Washing Service is a full-time, family owned, licensed & insured power washing company located in Fayetteville, built on a foundation of personal service, quality work, professional results & great rates, but more importantly customer satisfaction. 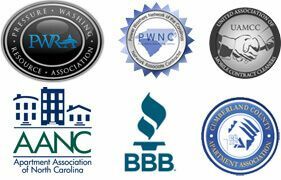 Have you been looking for a trustworthy, reliable power washing service to take care of your property’s exterior cleaning needs in Fayetteville, Wilmington, or anywhere in between? Well look no further, the search is over!!! Our Company’s 20 years of experience, expert knowledge, & custom designed equipment, will ensure that every job we do, will be done with the closest attention to your property’s specific needs. Our crews work zealously for residents and property owners in Fayetteville & Wilmington. 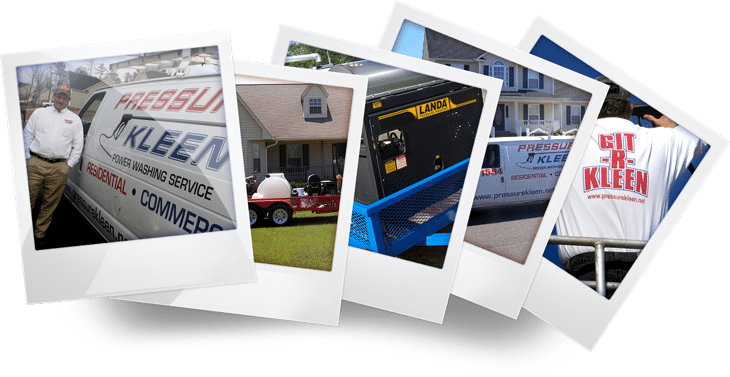 With pressure washing companies popping up in every town, neighborhood and street, what makes Pressure Kleen different? Besides decades of experience, our techniques are proven to be safe for washing your home. There is no guesswork with our pressure washing services! Our team can wash your home in an efficient, low-pressure manner, leaving you with a spotless home without the risk of damage. Check out our soft washing page for more info. Check Out Pressure Kleen In Action!